WHEREAS, with the 2018 establishment of our Buckhannon Volunteer Center, the City Council deemed it to be very reasonable & appropriate to henceforth recognize our community’s most giving volunteers with previous honorees of the Buckhannon Exemplary Service Testimonial (BEST) being Amanda Hayes, Zachary Mutchler, & Robin Keough. 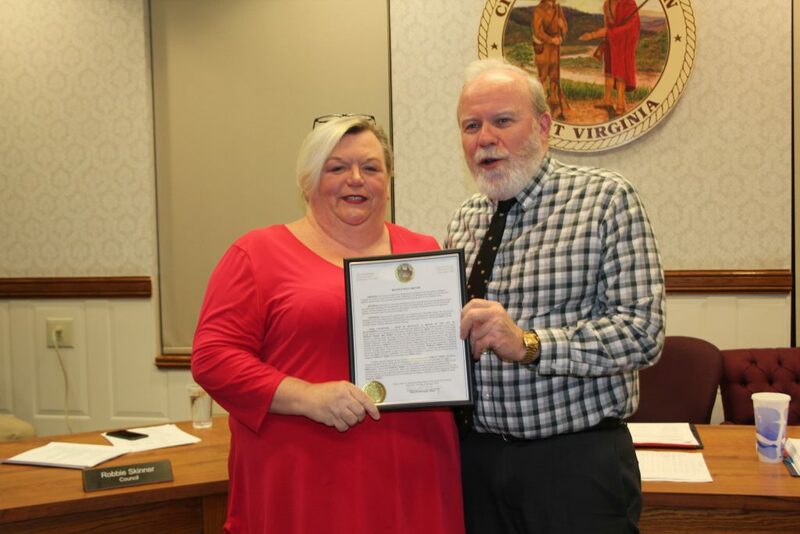 NOW, THEREFORE, I, DAVID W. McCAULEY, as MAYOR OF THE CITY OF BUCKHANNON, pursuant to the power & authority duly vested in me, do hereby proclaim as our City’s fourth recipient of our Buckhannon Exemplary Service Testimonial (BEST) for January of 2019 to be SHIRLEY TINNEY. MS. TINNEY has been the single biggest supporter & organizer of our Community Garden on Baxter Street spending countless hours for years now to support the Parish House food pantry program with fresh vegetables thus providing fresh produce to those who need it most; she is a constant supporter of the arts volunteering her time very liberally to assist all Buckhannon Community Theatre productions; SHIRLEY is a fixture at Festival Fridays aiding all Create Buckhannon causes; & she was an organizer of the inaugural Community Unity & Kindness Service Day conducted in October of 2018. Simply stated, if there is a service cause in our community, SHIRLEY TINNEY most certainly will be one of the first people to step up to volunteer time after time. I direct the establishment of our City’s new BEST bench & installation of a permanent placard in Jawbone Park to forever honor & recognize SHIRLEY TINNEY & all honorees of our BEST award. I further urge all residents to join our City’s most honored guest, SHIRLEY TINNEY, her family, friends & admirers, & me, along with all members our City government family during our public ceremony to be conducted at 7:00 p.m. on Thursday, January 17, 2019 as we bestow our City’s fourth BEST award. We all wish SHIRLEY TINNEY all of the best as she continues her tireless work benefitting so many in our community. May every resident be mindful of the importance of community service & giving of one’s self & be inspired to give selflessly for the benefit of others as we pay tribute to the many substantial contributions of our exceptional volunteers, including our fourth BEST honoree, SHIRLEY TINNEY.